Richard Petty is the most victorious driver in NASCAR history with over 200 wins and seven championships under his belt. Although retired now, Petty is still heavily involved in charitable acts with numerous builds coming out of his shop every year. Not only is he the owner of Petty’s Garage, a high-performance and street rod shop, but also the curator of the Petty Museum. What’s more, Petty keeps a private collection of his own that is not just limited to high-power race cars. In January 2019, Richard Petty and Petty’s Garage will auction off a selection of seven cars and three motorcycles in Kissimmee, Florida. Hand-selected by Richard himself, the vehicles up for auction are very impressive and even include three GM cars–despite Petty having won most of his championships with Plymouth, and then Dodge. The selection of motorcycles, modern muscle, classics, and race cars makes for an interesting auction with a few buyers that will be lucky to leave with a stunning piece of the Petty legacy. 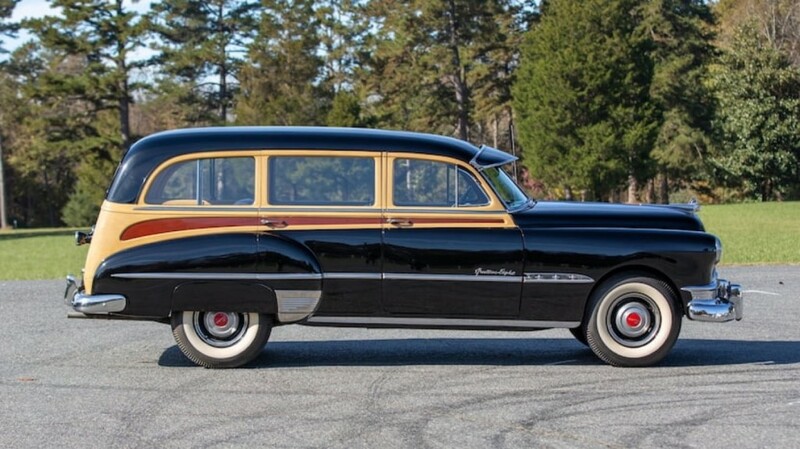 The first GM car up for sale is a 1951 Pontiac Streamliner Station Wagon. In 1997, Richard Petty found this beautiful black Pontiac when searching for a special gift for his wife Lynda’s 60th birthday. They drove it around for a year and a half and it’s been in the museum ever since. This vehicle received a full restoration and features a 268 CI inline 8-cylinder engine paired to a column-shifted 3-speed transmission. It includes a 2-barrel downdraft carburetor, oil-bath air cleaner, semi-elliptic rear leaf springs, rear fender skirts, bumper guards, pushbutton radio, and wide whitewall tires. The interior has gorgeous red and white cloth and vinyl bench seats with a beige ribbed headliner. An artifact with a remarkable provenance, this 1951 Pontiac Streamliner will definitely become a big part of the next owner’s collection. The second GM vehicle for auction is a 1949 Buick Roadmaster Touring Sedan. 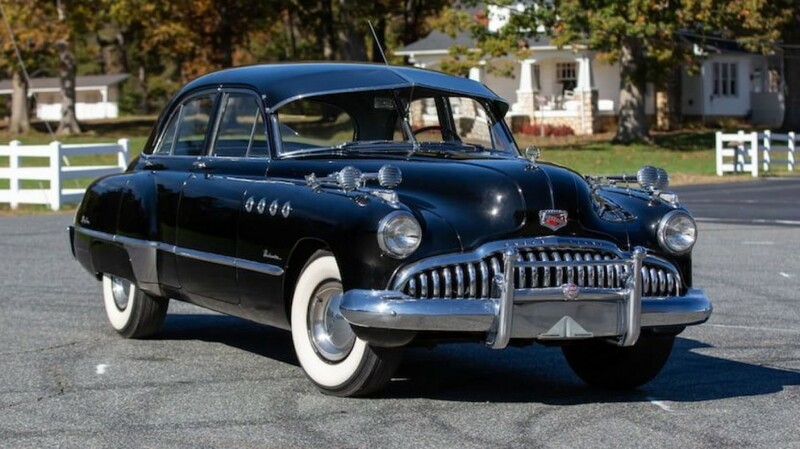 From Richard Petty’s personal collection, this Buick Roadmaster has a 320 CI Fireball Dynaflash Eight engine with a Duomatic spark ignition, 2-barrel downdraft carburetor, and hydraulic lifters. It produces 150 horsepower and is paired to a groundbreaking Dynaflow drive transmission with a five-element torque converter and planetary gear set for automatic shifts. The interior is all black and grey, with a sun visor that is embellished with a polished and chrome trim. The hood features the famous Buick gunsight hood ornament and grille guard that tie the elegant ensemble together with wide steel wheels and wide whitewall tires. Last, but certainly not least, is a 2018 Chevrolet Camaro SS with a unique wrap job. This 2018 Camaro SS has been donated by Petty’s Garage and every dollar that it brings in will ultimately change a child’s life. The proceeds will go to benefit Victory Junction, an 84-acre camp that seeks to enrich the lives of kids living with serious illnesses by providing fun and empowering camping adventures at no cost to their families. 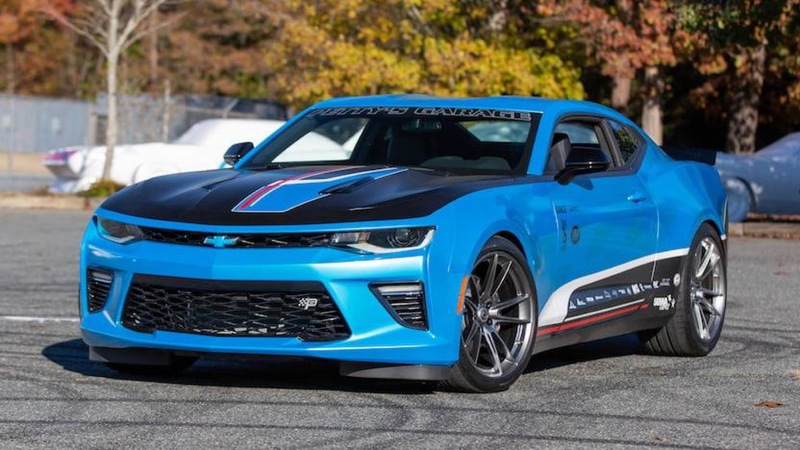 This Camaro sports a blue and black wrap by APE with accented Petty markings that define the brand’s racing legacy. The interior matches that same color scheme to further accentuate the race-inspired look of this car. Under the hood is a JLT true cold-air intake that works together with the LT1 V8 engine and Magnaflow cat-back exhaust to deliver as much horsepower as it can. Despite having just 54 miles on the odometer, this muscle car is sitting on Continental Extreme Contact sport tires and is ready to be open up on the track. The only thing missing is a new owner to show it some new-founded appreciation. Orange You Glad We Found This 1968 Chevrolet C10 For Auction?